DELCON mobile apps expand your team’s jobsite capabilities by offering paper free processes to maximize efficiency and transparency while reducing risk. Reduce the expense and time required to maintain paper records of onsite project activities. Create a standardized process for collecting important data and sharing key project information. 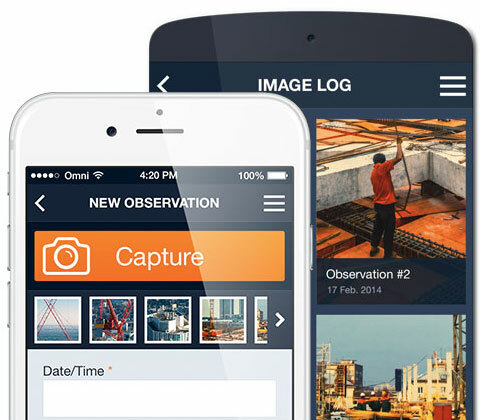 Access more accurate data, in real-time with access to project information from your mobile device. DELCON mobile apps offer an easy-to-navigate interface and large buttons. Forms have automatic search features and dropdown menus that make the user experience fast and easy. Company information, approvers and field dropdowns are linked directly from the enterprise system so onsite employees can fill out reports in minutes. DELCON mobile apps can operate from an iPhone or Android device. Click below to access the DELCON apps in the iPhone App and Google Play stores. 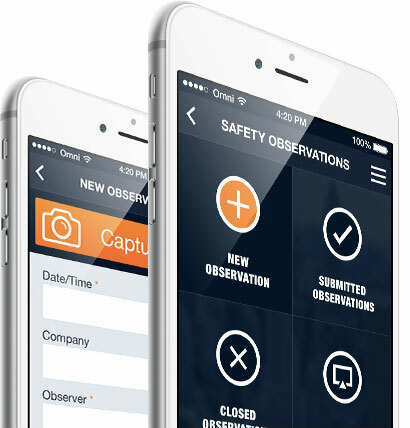 Discover the key features of our newest DELCON Safety Observations App. Check out our mobile screens and features available through the DELCON mobile applications. Setup a demo to see how DELCON can benefit your organization. © 2019DELCON. All Rights Reserved.